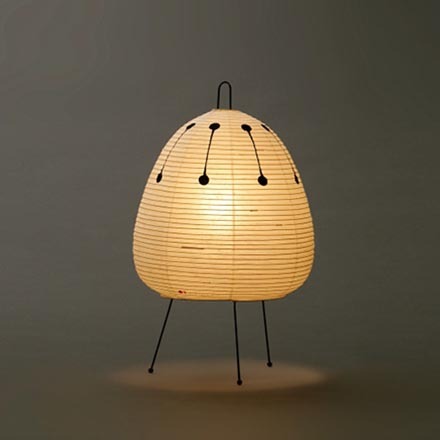 “AKARI”is the name given to the illuminated, sculpted lantern style resulting from the merging of Isamu Noguchi and Gifu’s traditional craftwork in 1952. 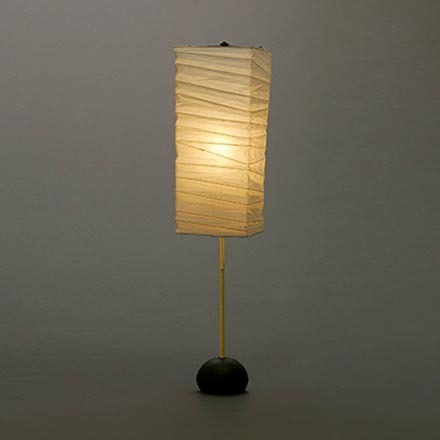 The gentle light-dispersing quality of the Japanese paper and irregular engulfment of the bamboo framework serves not only as a source of illumination, but also to carve the light with every wrinkle. The absolute attention to quality material makes it clear that this is a traditional art of Japan. 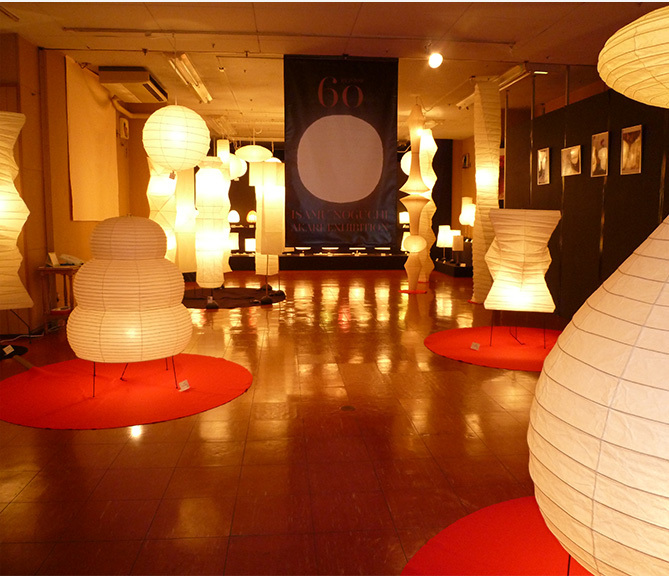 Moreover, the lightness of the AKARI lanterns speaks of the transient quality characteristic of Japanese craftsmanship since antiquity. 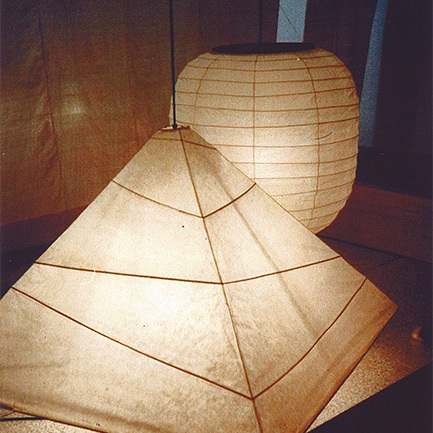 Isamu Noguchi’s products are recognized around the world as a prime example of an attempt to revive beautiful and uniquely Japanese crafts. 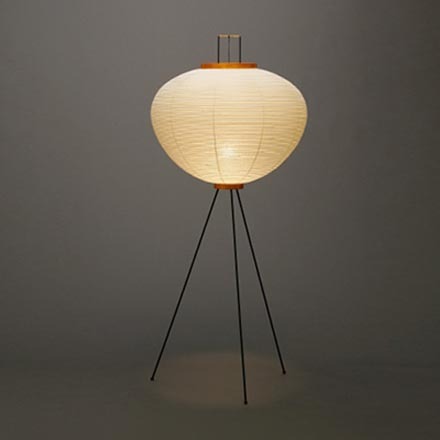 Beginning with Noguchi being awarded first place in a Japanese Good Design Contest at the New York Museum of Modern Art, his products have become loved in homes and shops in several countries. 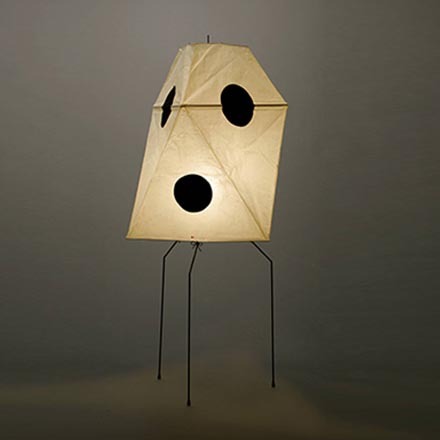 Isamu Noguchi has said, “I call this creation “AKARI”. 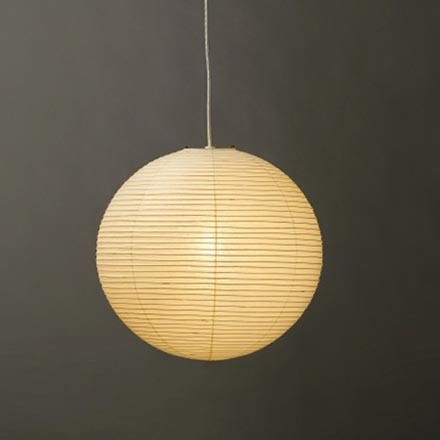 It is not a lantern (“chouchin” in Japanese).” The word “akari” in Japanese gives the image of sunlight and moonlight pouring out into a room. Even the Chinese characters used (sun and moon) to create the word tell this story. With the extreme modernization and mechanization of society, modern people long for something as simple as natural light. 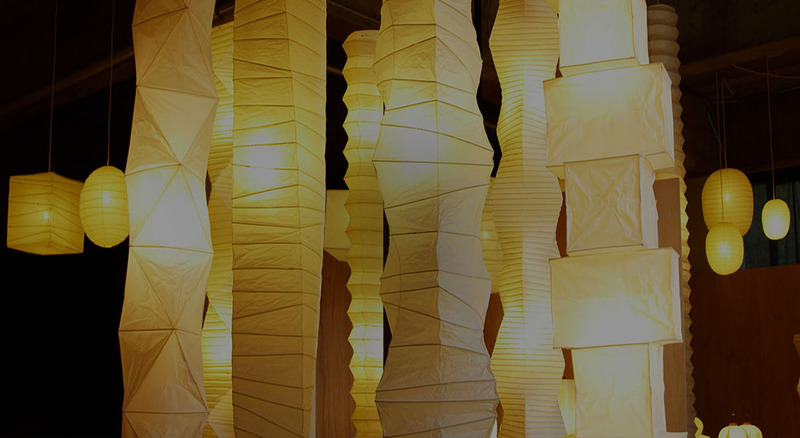 With light passing through Japanese paper, just the right amount of dispersal softens the light so that it flows into an entire room gently. AKARI is sculpted in just such a way. 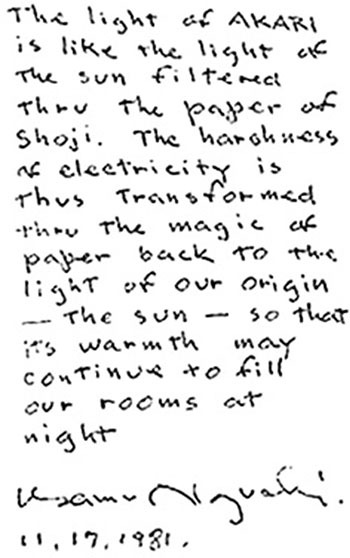 When speaking about AKARI to others, please mention its intentionally shadow-less construction. 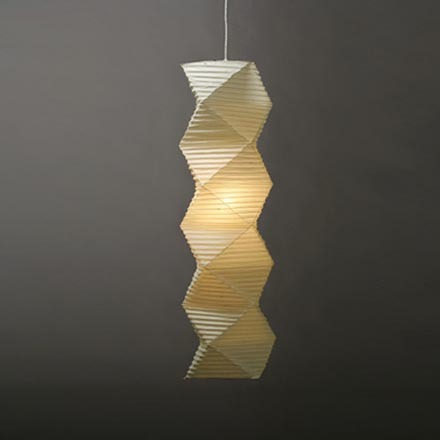 Let me also say this: paper, bamboo, wood, and other traditional materials have a certain effective beauty that goes without saying. Glass and plastic...do not. I wasn’t raised in Japan; so traditional lanterns allow me to feel the deep meaning of living in the old tatami-mat style. The 1951 AKARI Series has since seen the release of over 100 products including the UF Series from the 1980’s, and has been applauded and loved by people all over the world. 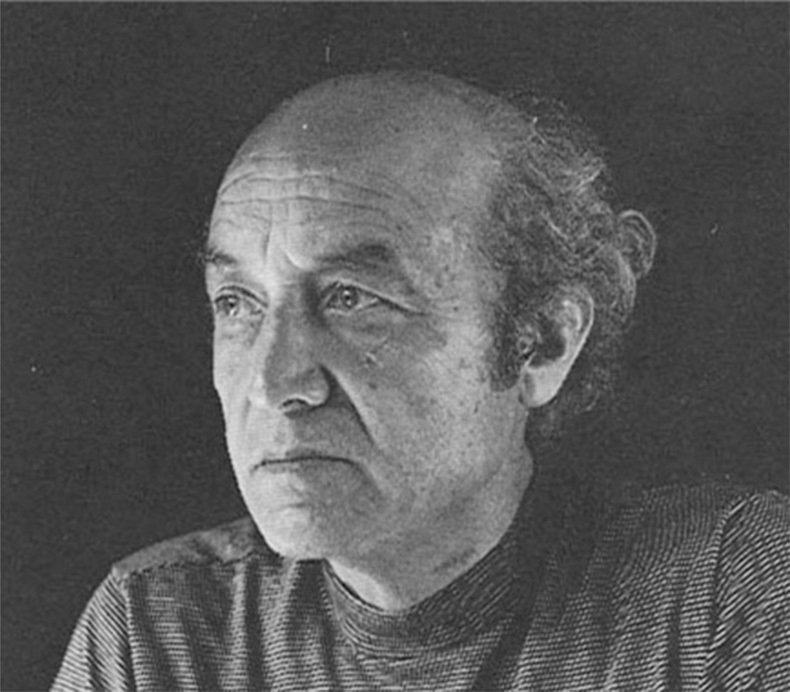 Starting at Hawaii University, Isamu Noguchi showed AKARI at art museums in Chicago, Los Angeles, and other cities. I went to Leonardo da Vinci School in New York I start studying sculpture. I selected a member of the National Sculpture Society. Under the JAPAN section of New York’s Bloomingdales department store, AKARI was a big hit and sold well in all store locations. At Tokyo’s Yurakucho Seibu Art Forum, Noguchi had an individual display called “Isamu Noguchi: The Space Between Light and Stone.” In it, his wonderfully constructed UF Series was presented for the public to see. 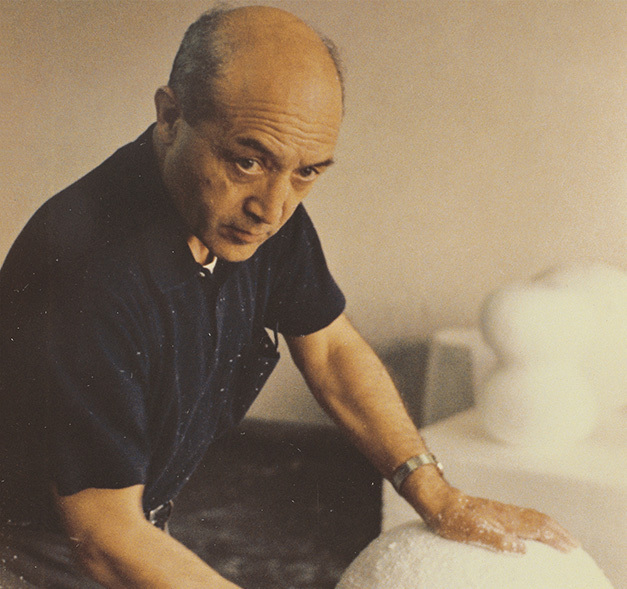 Isamu Noguchi was selected to represent America for the Venice Biennale International Art Show during which several pieces from AKARI were entered. *Sometimes closed on Saturday. Please confirm business hours before visiting.